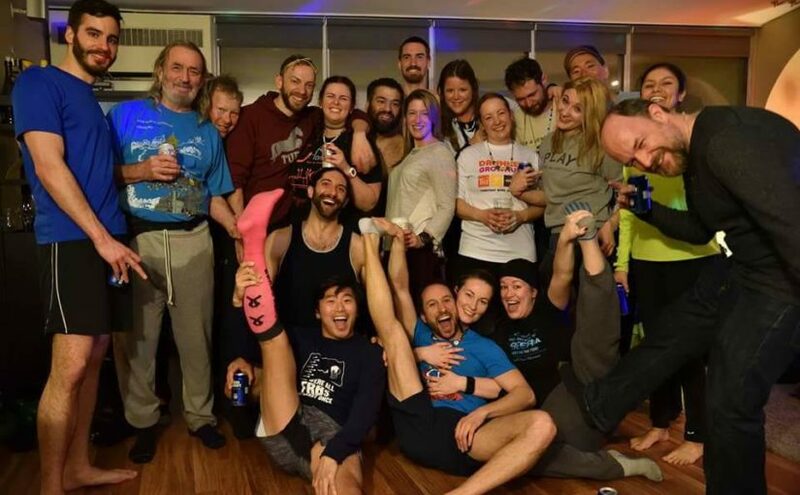 Like any properly run organization, the Chicago Hash House Harriers have layers upon layers of mismanagement at which you can complain when things don’t go your way. Our leader (the Grand Master, or “GM”) is elected by the membership each February. Other members of mismanagement are appointed by the GM. Our leader and adviser. When every other member of mismanagement throws up their hands and yells “Not In Charge” you should contact the GM to make sure your voice is properly heard. Of course the GM is very busy making sure the hash actually runs smoothly, so it may take a while for him/her to get back to you. Once trail has finished and we’ve worked up a great thirst for beer, it’s time for our unique ceremony known as “the circle.” Here our RA serves as a kind of MC/stage manager to ensure the most funny and entertaining experience possible for our hard earned hash cash. This individual is responsible for developing the schedule of runs and seeking out hashers to take up the duty as hares for each of those runs. Want to show the Chicago Hash House Harriers how a proper trail is set? Then you need to talk to the Hare Razer. The Haberdasher is responsible for making sure our beautifully designed t-shirts and other wares are available for purchase at each run. Those big events don’t plan themselves. Luckily we have a Hash Event Coordinator to keep things on track. The Hash Cash manages our wealth, all $10 of it. 99% of your hash cash covers beer at the run, but we do maintain a small reserve for pre-ordering haberdashery and the like. We are all hash ambassadors but this guy does it better than most. He is on duty 24 x 7 to answer your questions about hashing in Chicago. Visiting? Let the Hash Ambassador know and he’ll give you suggestions for enhancing your stay. Someone has to keep the website up-to-date and select all those horrible photos for each event. The webmaster is the very person. Is the website not working? Talk to this person. They maintain our sever platform so that you can see this gorgeous page.